If you have been disqualified for financial aid during the 2018-2019 academic year, you have the opportunity to appeal the disqualification. 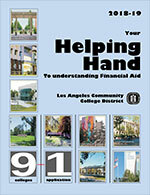 Appeal forms are available through the Financial Aid Office and online under the Forms section. You will lose your Pell Grant eligibility if you don’t submit your complete financial aid appeal paperwork by the deadline. Deadline to submit the Direct Loan Form is November 30, 2018 for students attending the Fall 2018 semester only. Deadline to submit the Direct Loan Form is May 24, 2018 for students attending the Fall 2018 and Spring 2019 semesters or the Spring 2019 semester only. Complete the online process along with submitting all additional required or requested documents by May 24, 2018. Each academic year we also recommend that you submit the FAFSA to the U.S. Department of Education (USDE) as soon as possible. The 2018-2019 FAFSA will be available as early as October 1, 2018. If you are a CA resident and wish to apply for a Cal Grant, the CA Student Aid Commission (CSAC) must receive both your FAFSA and GPA Verification* by March 2. There is a second Cal Grant deadline of September 2, but funding is more limited. *LAVC will automatically transmit your GPA Verification to the California Student Aid Commission (CSAC) by the deadline for those who meet specific criteria. It is advisable for students to contact the Financial Aid Office to see if they meet the criteria to have their GPA electronically transmitted and for other possible options. 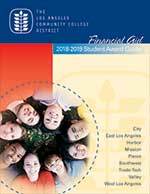 Regardless of the academic year, if you miss the deadlines to apply or submit information and still wish to be considered for Financial Aid, please refer to LACCD's SIS system to find out what's necessary to complete your file. We cannot guarantee you will receive limited aid programs (Work Study, FSEOG) after the deadline(s) have passed however; we will make every attempt to assist you in funding your education.